Mad generation! down on the rocks of Time! Mad Generation Loss is a project exploring media encoding and the ways in which imperfect copies can descend into a kind of digital madness. 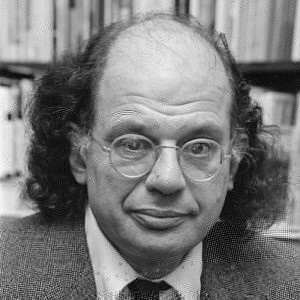 It takes an audio file—here, a recording of Allen Ginsberg reading an excerpt from his seminal poem “Howl”—and adds another layer of mp3 encoding to each second of the sound. That is to say, the first second is encoded directly from the original, the next second is re-encoded from that first lossy copy, and the third encoded again. This project takes inspiration from earlier efforts to explore generation loss. “I Am Sitting In A Room” (1969) by Alvin Lucier was perhaps the earliest, and featured a 4-sentence narration recorded on taped, and re-recorded over and over to hear the tape loss. As the narration notes, that process “smooths out” the irregularities of speech, reflecting instead the rhythm and resonant frequencies of the room of the recording. The code to create the Mad Generation Loss audio is freely available under the GPLv3. It is written in Ruby and depends on free software like lame, mp3splt, and mp3wrap. Thanks are due to Eric Mill and Ben Gleitzman for technical assistance (though please do not attribute my sloppy code on them), and to Caroline Sinders and Ethan Chiel for their encouragement.